Our pets love summer just as much as we do! It’s the best time of year to be out and about, enjoying all that the season has to offer, including picnics, hikes, swimming, running or just enjoying a nap in the backyard with your fur babies. 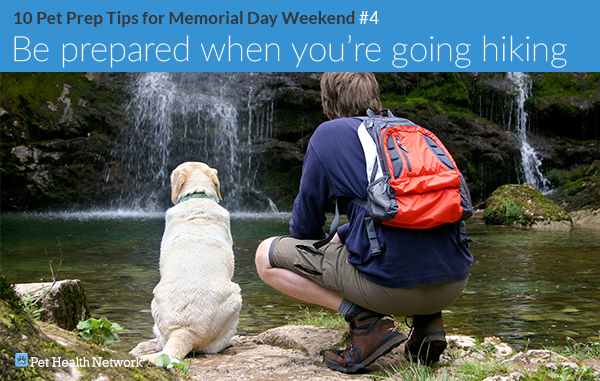 While these are all great activities, I’ve got some tips to offer for a safe and relaxing Memorial Day Weekend. 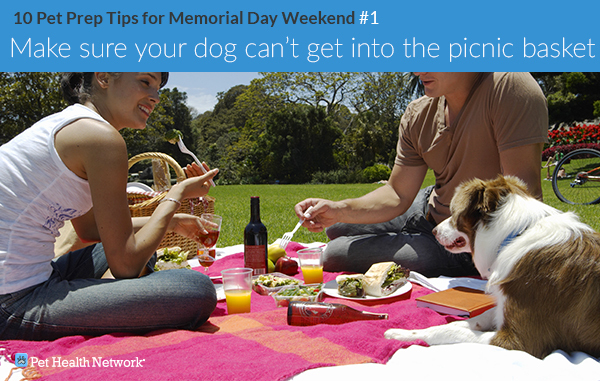 Yummy picnic items considered poisonous for dogs include grapes and raisins (even currants). While xylitol is a natural sugar substitute for people, it is also poisonous for dogs. So be sure keep anything containing xylitol (baked goods, candies, mints, gums, etc.) away from your pets. Click here to learn more about picnic poisons with Dr. Justine Lee. 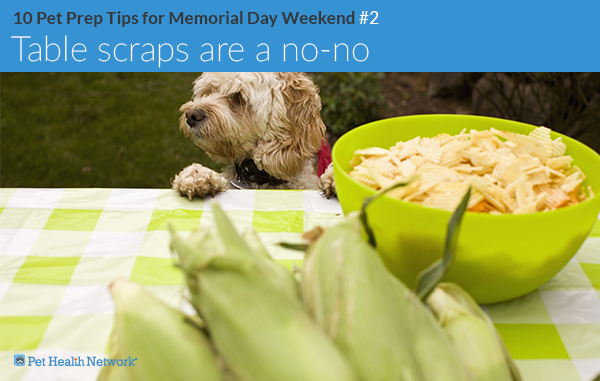 Foreign body dangers such as corn on the cob and peach pits aren’t necessarily poisonous, but they still pose a very dangerous threat to dogs. They can easily get stuck in the intestines and will require surgery to remove. Click here to learn more about the dangers of foreign bodies with Dr. Justine Lee. While it’s very tempting, it can also be life-threatening. 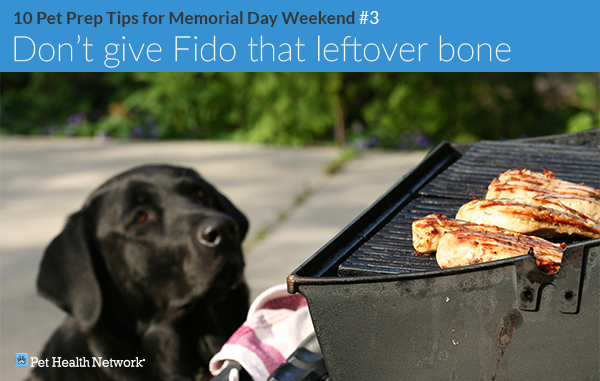 Along with bones, BBQ bits, like gristle and fat should never be given to your dog. Certain breeds and dogs that are overweight are subject to pancreatitis. Click here to learn about what foods you can share with your pet with Dr. Ruth MacPete. Always make sure the trail allows for dogs and be sure your dog is in good shape and has the endurance to go on a hike. Brachycephalic breeds and small dogs, physically, cannot handle strenuous hikes. Also bring lots of water and always stay on the designated trails. Click here to learn more about hiking with your pooch with Dr. Ruth MacPete. Our pets, especially dogs, get much thirstier than we do when they get hot, and other than panting and drinking, they really have no way to cool themselves down. 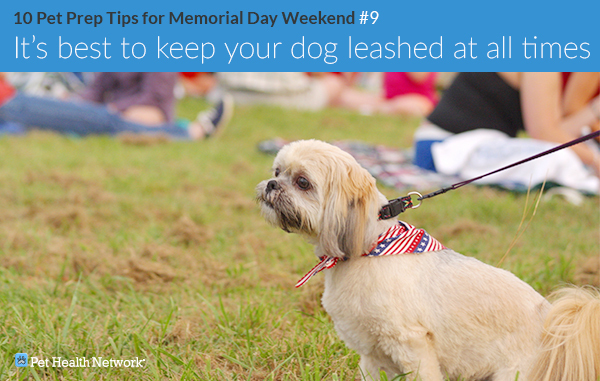 Get your pet in the shade as often as possible. While dogs and cats like to sunbathe, direct sunlight can overheat them (especially dogs) and cause heat stroke. 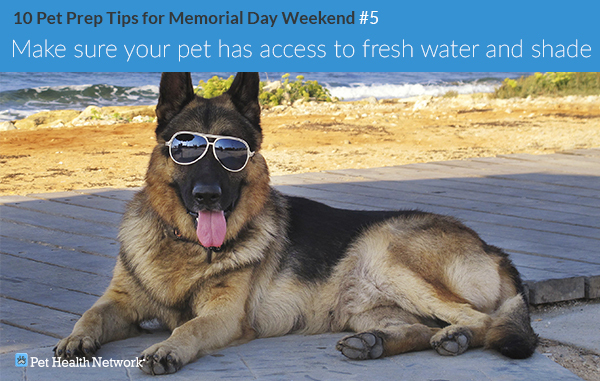 Click here to learn more about keeping your dog cool this summer with Dr. Justine Lee. It can take minutes – yes, MINUTES – for a pet to develop heat stroke and suffocate in a car. Most people don’t realize how hot it gets in parked cars. Want to see? View the video below. Click here to learn more about the dangers of cars and trucks with Dr. Phil Zeltzman. For us, fireworks are the highlight of the night, however, many pets are terrified of them. The loud noises and bright lights easily scare pets, which will make them want to get as far away as possible. 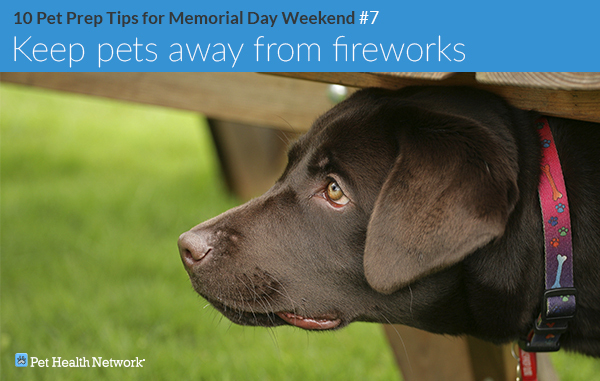 Fireworks are also harmful to pets even when they’re not lit, as they contain hazardous chemicals. Click here to learn more about firework safety with Dr. Justine Lee. Believe it or not, dogs can sunburn, especially those with short or light-colored coats. 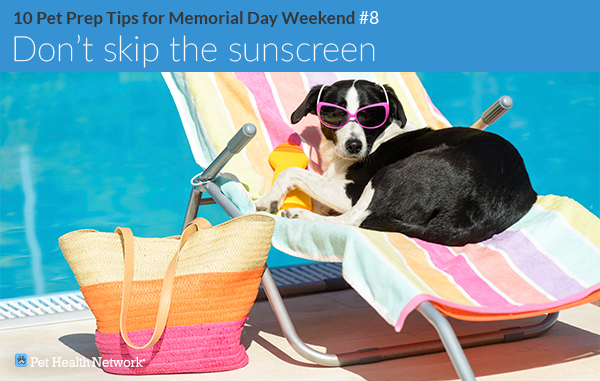 And just like people, sunburns can be painful for a dog and overexposure to the sun can lead to skin cancer. Talk to your veterinarian about sunscreens for your pet (don’t assume a sunscreen for people is appropriate for your dog). Click here to learn more about protecting your pets from the sun with Dr. Ruth MacPete. Summer holidays means all sorts of exciting sights, scents, noises, critters and people running around, not to mention, exciting places to explore. You never want to lose your pet because he became distracted in an unfamiliar environment or became afraid of a loud noises. Click here to learn more about summertime traumas and why it's important to leash your dog with Dr. Justine Lee. We love bringing our pets places, it means we get to spend more time with them! However, when you bring your pet to an outing, be sure he’s wearing his collar with up-to-date ID tags just incase he were to wander off. It never hurts to be careful. 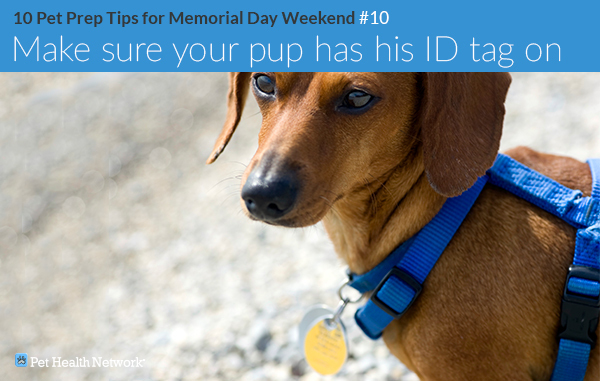 Click here to learn more about what to put on your pet's ID tags.